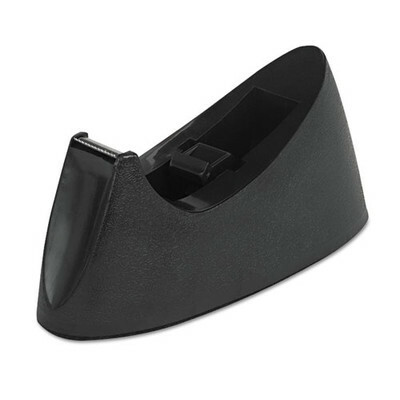 The simple yet effective design of this tape dispenser makes it great for the home or office. The weighted, nonskid base is great for one-handed dispensing and stays securely in place on any work surface. Fits standard size office/invisible tape. Tape Dispenser Type: Desktop; For Tape Width: 3/4 inch; For Tape Length: 1,296 inches; Core Size: 1 inch.